"Many new products which are launched on the market are only 'new to the company' and usually a variation or, or a successor to, an existing product, or a direct copy of a product form the closest competitor. Vern Burkhardt (VB): In the last interview you described the FORTH innovation method as follows: "FORTH is a customer-oriented, inspiring innovation method for creating many new business cases with an internal team that you can use for innovation of products, services, or business models." Will use of the FORTH innovation method for generating ideas for creating innovative products and services increase the chances that 'really' new products or services will be successful? Gijs van Wulfen: It will give you 3 to 5 mini new business cases based on relevant customer frictions. These business cases will be supported by all the relevant stakeholders, so it's a perfect start. It will decrease the time to market, and will increase the chance that the new product or service will be more successful because at the front-end you have already confronted customers with the ideas. Also, your ideas are based on observations and analyses of extant customer frictions. VB: Have people who have participated in the FORTH method reported that it results in amazing new product and service ideas? Gijs van Wulfen: They often say that they developed new products and services a lot quicker. I can't prove scientifically yet that the success rate is a lot higher. I hope I can do so in 10 years. There's another great benefit. The mini new business cases are tangible results of FORTH. The soft results of FORTH are equally as important. What are they? The process results in a bit of a culture change. If you work with a team of 8 to 12 people from your company using the FORTH process for 40 weeks, all of you will learn some things. R&D people learn how to make business cases. Production people learn how to discover customer frictions. All in the team learn do all kinds of things they are not used to, resulting in increased competencies, using the same language related to innovation, having the same business experience, and being exposed to the same customers and other resources. The result is it indirectly improves the innovation culture a lot. If people were told FORTH is a way to improve the company's innovation culture, everybody would think, "I don't like culture improvement projects." But it happens. When I come back to one of my clients six months after the FORTH process is completed, they often say culture change is at least as important as the mini business cases resulting from the project. They have learned a way to generate ideas for innovative products, services, and business models together, in a systematic way and using the same language, so they understand each other. VB: Is it often an unintended consequence that participating in a FORTH team will enhance communication between participants across departments after the project is completed? Gijs van Wulfen: Yes, trust and new relationships are established. It sometimes works against the organization because some participants in the teams say, "I don't want to return to my old job. I want to do something new and exciting." I'm aware of at least two who said, "Wow. I've discovered a new level of work excitement and I'm going to leave my old job even if it means leaving the company." VB: Do members of FORTH teams usually find it more rewarding to generate ideas for new products and services that are 'revolutionary' rather than 'evolutionary'? Gijs van Wulfen: That's a great question. In the idea generation phase when they get 'Out of the Box' and generate revolutionary or great ideas there is much spontaneous energy. I would say most love being able to think up revolutionary ideas, because it's much more rewarding. However, in the idea selection phase – choosing the ideas to be developed into mini business cases – the same people tend to choose the less revolutionary ideas because they seem easier to realize. On the one hand they love thinking up revolutionary ideas; on the other hand when people have to choose, they always go for the easy, evolutionary ones. VB: They go to their mental highway. Gijs van Wulfen: Yes, they automatically go to their old forest trails. You will recall that last week I said that you have your usual thinking patterns and these links in your mind get thicker and stronger. In order to find new ideas it's essential to open your mind to new information, to be exposed to other triggers, and to go off the highway and discover new forest trails. VB: How did you develop the FORTH innovation method? Gijs van Wulfen: Sometimes one gets moments where it all comes together. I'd been working for 25 years as a marketeer, then as a marketing consultant, and later on as a boardroom consultant. I developed the FORTH approach over several years. I had experienced how difficult it was for organizations to come up with innovative ideas and solutions, and that's why I developed the structured process. I became frustrated when I was a boardroom consultant. The firm was like a Mckenzie Consulting located in the Netherlands. We were almost always engaged when a company was in a crisis. We split our consulting team into two groups, with one looking at the bottom line – how to cut costs? I was the head of the other team, looking at the top line – ways to increase sales and revenues. Some of the questions entailed how to generate new revenues by targeting new customer groups, or developing new services, markets, or business models. Once we completed our work we would meet with the bottom line team, develop a strategy, and calculate profit/loss projections for the coming years. This strategy would be presented to the shareholders and the bank and financing firms that lent money to our clients. The CEO or shareholders would choose one of the scenarios we presented for reducing costs and increasing revenues. When I came back about ¾ of a year later most would have succeeded with one of the two aspects of the chosen scenario. They would have succeeded in cutting costs at the bottom line. Often they didn't succeed in growing the top line, and it seemed to be because they didn't think of the strategy themselves. This is when I decided to leave the consulting firm and be a facilitator instead of a consultant. I had to look for a process in which the people I worked with generated their own ideas. The analogy is your children. It's most rewarding when you can make your kids yourself. It's a pleasure to do so and you feel great because you can think 'She is my own daughter.' Nothing can replace it. When I went to companies as a consultant, I gave them a daughter but it wasn't their own daughter. It's the same with ideation. When you think of your new product or service yourself it's your product or service. Seeing this I realized you shouldn't go to IDEO and buy ideas from them. You shouldn't go to McKenzie and buy their ideas. You should try to generate your own ideas. You can do it but you have to have the tools to do so. Realizing this I thought I would look for a really good process and become a facilitator. I learned certain skills as a marketer and consultant, but I needed to acquire education to become a creative expert. From the first profits in my company I paid for a two-year education program in creativity, and during this time I got my great insight. It was that to be really effective at the front-end of innovation, you've got to start with a business challenge. You should go to creativity outside the box, but if you generate ideas unrelated to a business challenge or a customer friction everybody will say, "Wow, we have some great ideas." And then they will go back to work and continue doing what they have always done. You have to generate great outside the box ideas, but then you have to take them inside the box – otherwise nothing happens. I realized you should start an innovation assignment, proceed to creatively generate ideas, and then go backwards to produce new mini business cases. Full Steam Ahead, the first phase, generates the innovation assignment based on the business challenge and it requires sign off by the company's leadership if the subsequent three phases are going to be successful. In order to get new ideas you need new insights, so the second phase Observe and Learn was created. The development of new product or service concepts is the goal of FORTH, and these concepts and ideas are generated in the third phase – Raise Ideas. We may generate great ideas but if the company's leaders are unconvinced it's likely that nothing will happen. As a marketeer I used the voice of the customer for getting my inspiration, and this suggested the fourth phase, which is Test Ideas. We can test the ideas on customers or conduct other tests, with the final result being a mini business case for each of the best 3 or 4 product or service concepts. In the fifth and final phase, Homecoming, the mini business cases are presented to senior management with a request that the new product or service be taken up into the company's regular development process. Presentations are also made to the teams who will develop the product. FORTH was created using my observations and experience, and I used all my best practices in the process. VB: How important are 'concept guards' in a development team that has been given responsibility to implement a product concept? Gijs van Wulfen: They are extremely important, only I wouldn't openly call them by that name. This role is important because if a totally new team takes on the implementation of the idea they will change things, and they won't know what they are throwing away. Often after the ideation phase one or two members of the original ideation team are asked to join the innovation delivery team with the goal of guarding the soul of the original concept. It works better if it's an informal role. VB: You are an innovation facilitator. Would you tell us about your brainstorming consultancy? Gijs van Wulfen: My role is one of a guide. I facilitate an innovation project for a client and afterwards help to train one or more of their people as innovation facilitators so they can facilitate the process professionally themselves the next time. Then I move on to other organizations and companies. I see brainstorming only as one of the four phases. It is all about innovation, and brainstorming is a tool. I need my competence as a brainstorming facilitator because it is the phase that is like the main course of the menu. VB: Why is an expert independent facilitator essential to successfully creating innovative products and services? I gather that a capable line manager of a business unit can't perform this role. Gijs van Wulfen: It's hard for a capable line manager to facilitate because to do a great job you must really know the FORTH method very well. Besides, good line managers are too valuable to be dedicated to the 14-week idea generation process. I've trained internal facilitators at large companies. At a large firm, such as an insurance company with over four or five thousand people, they often have an innovation department with facilitators and project leaders who I can train to be their internal facilitators. On the other hand, it's much easier for me as an external facilitator because I can insult the CEO when I disagree with him without losing my job! If someone reports to you directly, they would be hesitant to say anything negative to you – especially if you are the CEO. VB: "Preferably the facilitator has gained experience in line management." Why is this preferable for a FORTH facilitator? Gijs van Wulfen: It's easier for you to understand the internal motivators for managers. You have a better feeling for internal politics if you've been in line management. It's also easier to gain authority in the group if you've been in one of those employee groups in your earlier days. A lot of managers in Europe have developed an allergy against consultants who know everything from university books but haven't been in the mud themselves. I can say, "I've been there. I've seen it. I've done it. I've been in the mud in my earlier days." This gives me more authority. I've been in the trenches and developed a method to facilitate the process of innovation based on my experience. VB: You were employed in marketing. What led you to change your career focus? Gijs van Wulfen: Well, after 7 years internal politics was the main reason for my career switch. I had some failing bosses who started blaming and firing really competent colleagues of mine. I thought, "Well this is the bloody limit. Saving themselves by blaming and firing the people reporting to them". I decided enough was enough, and changed to a consulting role, where I had a steep learning curve all over again. VB: You said earlier that you had taken training in creativity. What training did you take? Gijs van Wulfen: There's a two-year training program on creativity techniques and facilitating creativity groups at COCD in Belgium – "Centrum voor de Ontwikkeling van Creatief Denken." It's comparable to what's being done at The Creative Problem Solving Group – CPSB – in Buffalo, New York. It's like a Masters in Creativity. VB: How did you gain expertise in the 30 divergent and convergent brainstorming techniques you include in Creating Innovative Products and Services? Gijs van Wulfen: It's simple. I started using them. Once you understand the principle of creativity, you gain expertise by facilitating the brainstorming techniques over and over. Some of them fit you like a glove, you feel happy with them, and you use them more often than others. VB: Your description of these brainstorming techniques is helpful. I haven't before seen a compilation as clearly written as you have in your book. Gijs van Wulfen: I wrote from the perspective of a facilitator. I was trying to make a cookbook to assist new facilitators. Thank you for your compliment. VB: You were recording your ideas about how you facilitate the various brainstorming approaches? Gijs van Wulfen: Well, actually the whole book does this. When a client comes to me and asks, "Gijs, how do you do it?" I look up the process in the book and reply "I do it like it's described on page 65". VB: Are there two or three of these brainstorming techniques which are your favorites? Gijs van Wulfen: That's also a great question. I never thought about this before, but there are and I will describe to you two of them. One is kind of a starter. Sometimes I facilitate the start of the exploration for innovative products and services with a company that has a history of mergers and re-organizations, of course with all the accompanying frustrations – fighting and politics. You know the baggage of frustrations will hamper creativity by the team. At those times I start with the dustbin. I ask every participant in the room to write on paper the three greatest frustrations they are currently experiencing in the company. They write them down, and then I come with a great garbage bin and ask them to throw the paper with these notes in the bin. Then I ask two members of the group to put the garbage bin outside the room, and that cleans the air a lot. Get rid of the garbage and then we're open-minded again to focus on innovation. I do this when I feel there's a lot of tension in the group. The creativity technique I like the most for getting more 'outside of the box' ideas is: after you have been given your innovation assignment you are asked to step into the role as director of another company with a strong mandate. For example, if you were working at a logistics company looking for new services for your company I'd say, "I'm happy to appoint you as the CEO of Apple. Congratulations!" Then I would tell you together with a small group of people, "You are the board of Apple. Write down what is the atmosphere at Apple and what you do as the Board at Apple?" They have ten minutes to put themselves into their roles and then I say, "OK, now we will go back to our original assignment. What solutions would Apple think of for your company?" This gets you out of the box in a business like way. It's one of my favorite techniques. We use Apple, IKEA, Toyota, McDonald's or ALDI. Often at the same time one group will be Apple, another a supermart discounter, a third IKEA, and the fourth McDonald's. This means you get ideas from many different points of view. It effectively brings the discussions and ideation 'outside the box'. VB: Would you tell us about the most memorable brainstorming session you have facilitated? Gijs van Wulfen: Like most humans I have a short memory! Today I've been telling you about brainstorming with a public health organization, which occurred April 11th, 12th and 13th. We realized 910 ideas with 60 participants in a wonderfully innovative atmosphere. It was a great moment. VB: Does a brainstorming technique work best when the participants have had prior experience with it? Gijs van Wulfen: I don't think this matters a lot in practice. With a good Observe and Learn phase, a good facilitator, and the right technique at the right moment, I've found that everybody can be creative. It doesn't matter a lot if it's their first or third time. VB: Would you talk about the training program you offer for those wishing to become certified FORTH innovation facilitators? Gijs van Wulfen: I'd like to share the method because it's effective. I'd like to spread it all over the world. I'm looking for professional facilitators who see it as their profession to be trained in the FORTH method, and to implement it in their own countries. The method works, but it works better if a Frenchman does it in France, a Canadian in Canada, a Brazilian in Brazil, and an American in the U.S. I'm looking for people who are like me – have a few grey hairs. Why? I can't train them in all of the needed competencies so I'm looking for former marketers, former creative facilitators, formal market researchers, or others who recognize themselves in two or three roles. When I think there is a good fit I ask him or her to come to the Netherlands in August to take 5 or 6 days training. We'll run some FORTH sessions to gain experience, and I will share my knowledge and experience. I will certify these facilitators, list them on my web site as a FORTH facilitator, and they can make use of the FORTH formats on the web site. I will coach them via Skype. At the moment I'm talking to people in France, Brazil, and China. So it's great. VB: What has been the reaction to the two Dutch editions of your book? Gijs van Wulfen: People were amazed that I gave away all my knowledge. Everybody says, "Wow. You give everything away." I respond, "Yes. If you want to be effective, you shouldn't tell half the story. You should tell the whole story." Many are getting enthusiastic, and are using the FORTH method. In the Netherlands it has been an innovation bestseller, although innovation is a small niche in this country. Between the ages of about 30 and 45 I tried to make simple things complex. Do you know why? It would get me bigger consultancy assignments, and I could send them bigger bills. I'm sorry, but that's the way it works. From about the age of 45 I've tried to make complex things easy. This is why in FORTH I'm using normal language. People can understand and get away from all the business language nonsense. I've tried to make it as simple as possible instead of trying to make it as complex as possible, by, for example, including a lot of checklists that will help facilitators and those who participate in product and service innovation groups. VB: Has giving everything away led to more business opportunities for you? Gijs van Wulfen: Yes it has, but I wish I had been born rich! VB: When you get everything laid out and people read your book, does it result in people coming to you to be a facilitator? Gijs van Wulfen: Yes, of course. Big companies say, "OK, wow. This is a great method. Let's ask the guy who invented it to do it one time according to the book." This is what I want. Leading the process means 25-30 days of work for me, and in Euros that's around a 50,000 investment for the company. I facilitate a couple of them and then I can pay the mortgage. For me it's a challenge. On the one hand, I like to give everything away, and on the other, I've still got to consider how to make money to survive. Sometimes it's a bit of a dilemma. VB: Your book was published in English in 2011. Did you make many changes to the content compared to the second Dutch edition? Gijs van Wulfen: I'm a guy who is always improving so I put my recent learnings about the FORTH method in the English book. These are not yet in the Dutch version. Also, I internationalized the examples in the English version of the book. The 5 phases stayed the same, but in the last 5 or 6 years the power of digital media has increased enormously. For example, in Observe and Learn there is now a lot of crowdsourcing possibilities. I'm updating the book every three years in order to insert the latest best practices. As long as I'm selling a lot of copies the publisher has said it's fine to have revised editions this often. VB: Do you have plans to translate your book into other languages? Gijs van Wulfen: Yes. I really need to do that. Going to Brazil means I have to do it in Portuguese. I'd like to have it in as many languages as possible. If any translator reads this article, please contact me! VB: Are you working on another book? Gijs van Wulfen: No. Do you know why not? I am only a very small niche company. The FORTH method is my thing. It's working. If it keeps me going for the next 25 years – adapting the method and spreading it across the world – I'll be happy. If I were to shift my focus I would lose my passionate focus on FORTH. I'm happy, and I'll keep producing other FORTH books. My dream is being 84, at the 20th International FORTH conference as a special guest, driven in on my wheelchair, waving to the public. VB: Do you have any other comments about creating innovative products and services? Gijs van Wulfen: As a FORTH facilitator you have two things: the process and the group. You have to find the right moment for the company to use FORTH. When they need to be innovative they will go beyond their normal borders. Not only do you have to look for the right moment you have to look for the right team members, and when you have these combined with the right process, it's a very exciting journey with great results. Finding the right moment is when people are prepared to go beyond their normal way of thinking and behaving. If you engage in the FORTH process too early then there's no urgency. If you do it too late then people are so frightened they can't think clearly much less outside the box. They're too frightened of losing their jobs because the company's going broke. Finding the right moment is essential. VB: You love what you do. Gijs van Wulfen: Yes, I do. Did you notice? VB: I certainly have gathered you are enthusiastic. Are you having fun at it as well? Gijs van Wulfen: Yes, it's like the ocean racing you do. VB: I gather your focus on the FORTH method and developing your business uses up most of your time. Gijs van Wulfen: Yes, it certainly takes a total focus. VB: Do you have children? Gijs van Wulfen: Yes I have two children aged 13 and 15 – a boy and a girl. VB: Is your office out of your home? Gijs van Wulfen: No, I have a brainstorming office 15 kilometers from where I live. It's important because people in companies are risk avoiders, and if I'm working from home they ask, "Is he working out of his bed? Is he an amateur?" When I first meet prospective clients they are likely to ask me how many people I employ. Then they are going to ask me where is my office. I have a brainstorming office to strengthen the promise of the FORTH innovation method. Innovation is risky, and everybody is a bit scared and they wonder how to do it. I've got to reassure them, "I've got a great brainstorming office in a great environment, and I've written a best seller book." Also, they want to know how many clients have used the FORTH method and my services, and they want to know whether any were in their field. VB: Are there any things we haven't covered yet? Gijs van Wulfen: No. Your questions have been great. What I really appreciate is that I know you carefully read the book by your questions. I appreciate it a lot, Vern. I know you are an innovator at heart and not just a journalist asking superficial questions. So I appreciate a lot that you read the book and that you share my enthusiasm for the FORTH method. Author Gijs van Wulfen describes in detail the FORTH method. As he said during our interview he has willingly given away his secrets about how to facilitate creating innovative products and services using his FORTH method. His book contains many useful checklists that may be used with the FORTH creativity approach. The 30 brainstorming techniques contained in Appendix II are more than worth the price of this book even if it hadn't included a wealth of information about the FORTH method. They are written as practical guides a facilitator of any of these techniques would find helpful. It is attractive to customers. It has adequate profit potential for the company. It fits into the strategy of the company. 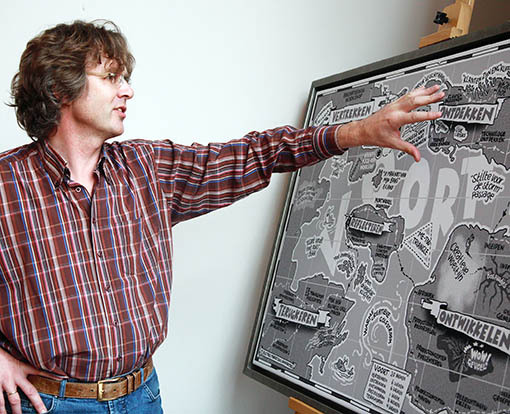 Gijs van Wulfen is an ideation facilitator and founder of the FORTH innovation method (VOORT innovatiemethode). Gijs van Wulfen developed the FORTH innovation method, a fast effective way to ideate new products, services and business models. He helps companies and organizations worldwide to jump start innovation. In 14 weeks he facilitates an internal innovation team on their FORTH innovation journey from which they will return with 3-5 mini new business cases. His clients are industrial and services companies and non-profit organizations. His dream is to make the FORTH innovation method the most used innovation tool in the world. 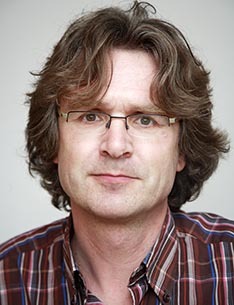 Gijs van Wulfen has been presenter and chair of several innovation conferences. Gijs van Wulfen is the author of the Dutch book Nieuwe Producten Bedenken (2006), which has since been updated and published in English with the title of Creating Innovative Products and Services: The FORTH Innovation Method (2011).